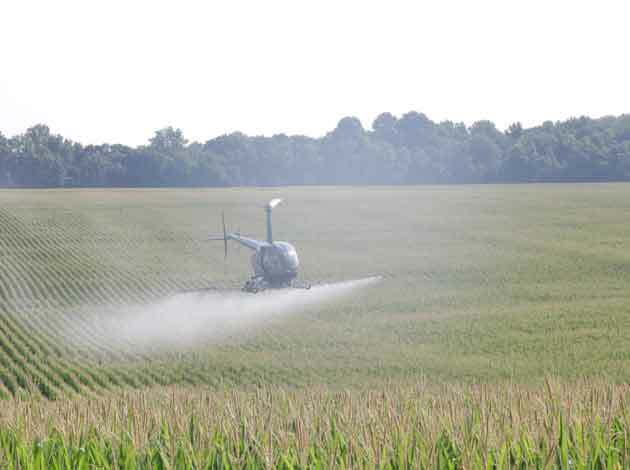 Farmers in Taylor, Green and Adair counties have a helicopter in the area this morning spraying fungicide on cornfields. The low-flying helicopter was spraying near Ky 55 north in Adair County around 10 a.m. This photo was taken just into Taylor County.